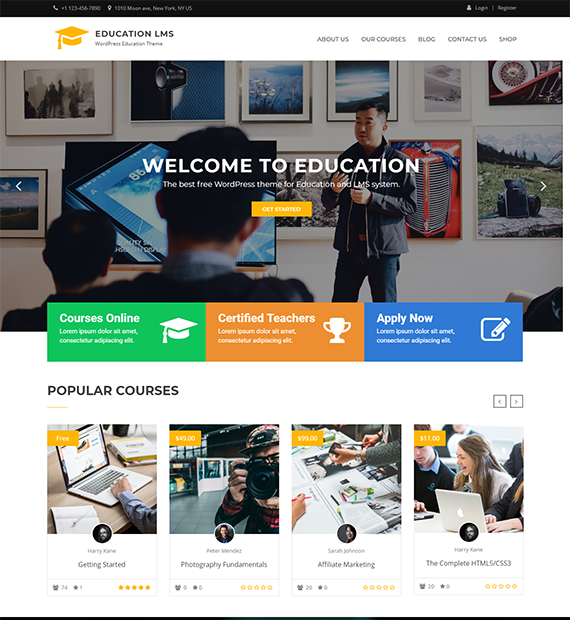 Education LMS is a clean and responsive theme specially made for Schools, Colleges, Universities, and other educational institutions. It is translation ready and has social media integration which makes your site interactive and user-friendly. This theme offers features like unlimited slides, logo upload, header topbar, footer widget, etc. Also, it is compatible with Elementor and LearnPress which let’s manage your content and you sell courses online.